MasterChef Canada judge Michael Bonacini always surprises us with his gorgeous creations featuring our Little potatoes. Whether you’re looking for an easy go-to brunch dish or something to surprise your guests with, Chef Michael has a recipe for everyone. 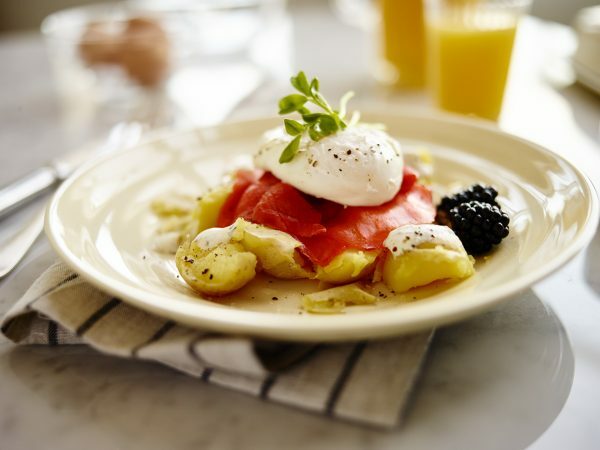 A simple and elegant brunch dish that won’t take you all morning to prepare, so you can enjoy it while still enjoying a lazy weekend. With honey-sweetened yogurt, grainy mustard, and fresh dill, you’ll be starting your day off on such a high note. Is there any dish that cheesy Creamer potatoes don’t compliment? We certainly don’t think so. 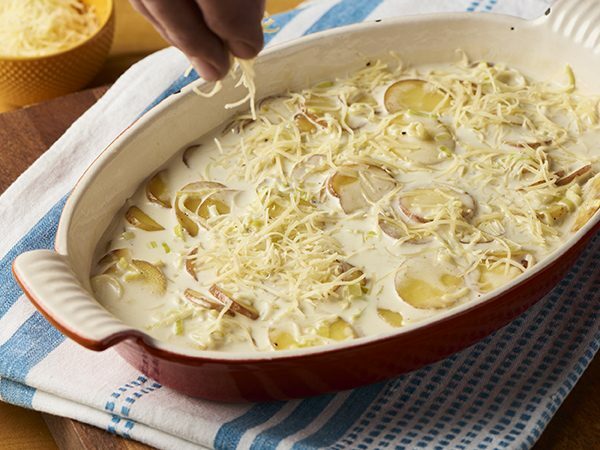 This decadent bake of fresh leeks, gruyère, and Parmesan cheese with whole milk and spices will become one of your comfort food staples. 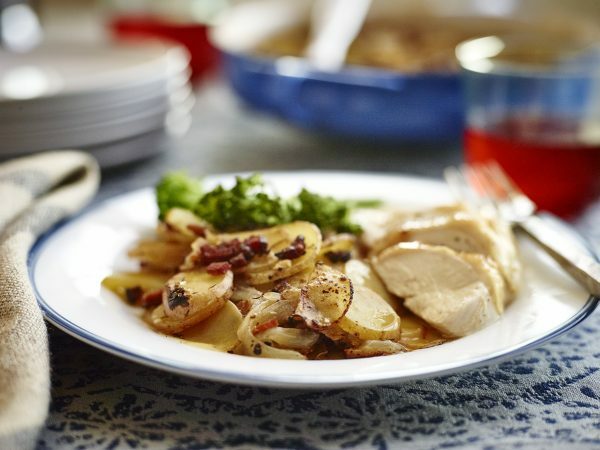 This classic French dish features smoky bacon, fresh thyme, and a heavenly combination of garlic and onions. This dish beautifully compliments any roast, cold cuts, fish, or poultry. 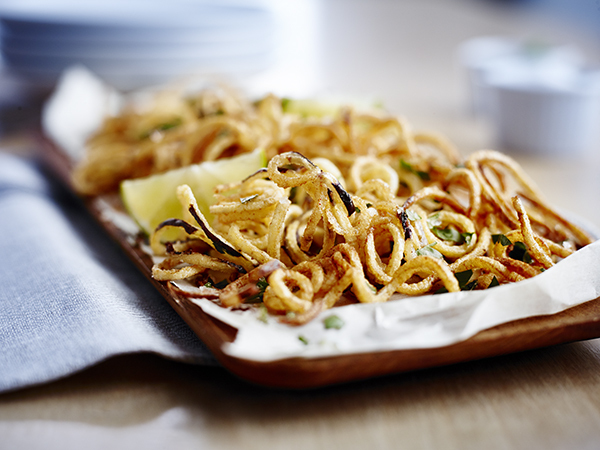 We know you’ve heard of spiralized zucchini, but have you ever seen spiralized potatoes? 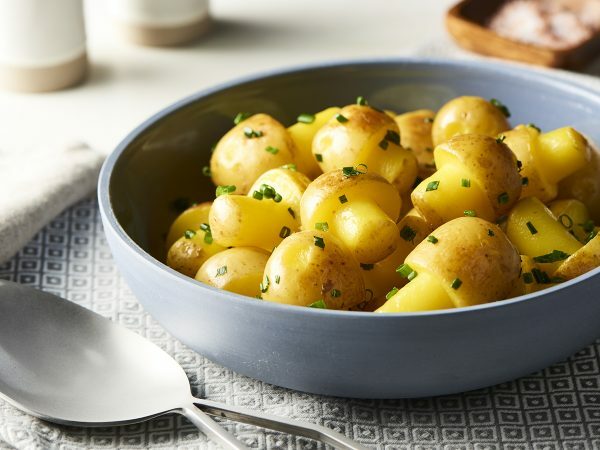 Seasoned with a light curry powder and fennel, this appetizer or side dish is an easy way to elevate our Little potatoes. As a young cook, Chef Michael used to serve these gorgeous mushroom-shaped potatoes at the Dorchester Hotel. Learn how to make saffron-infused water in order to make the color pop.